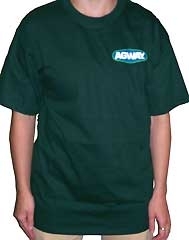 Forest green short sleeve Hanes Beefy T-shirt with screen print Agway logo. 100% cotton. 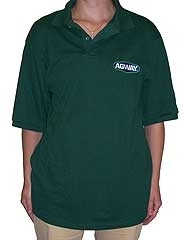 Forest green Jerzees pique short sleeve knit polo, with Agway embroidered logo. 50/50 cotton/polyester blend. 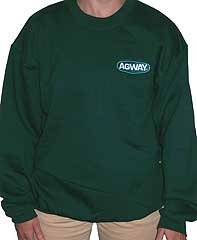 Forest green Hanes Printpro crewneck sweatshirt with embroidered Agway logo. 90/10 cotton/polyester blend.